A local primary school has received a generous book donation and £100 gift card voucher, thanks to pro-active parents and The Liberty Shopping Centre. During the run up to World Book Day 2018, the Romford-based shopping centre asked parents of children at local schools to sign an online reading pledge, with the most school sign-ups receiving a literacy bundle. Continuing the centre’s #LoveLiteracy half term campaign, a local school initiative was launched in the run up to World Book Day 2018, asking parents to sign an online reading pledge to encourage even more family story time. Parents of children from The Mawney Foundation School in Romford came out top with the most pledges, making them the winner of the voucher and book donation. Centre Manager, Jonathan Poole said: “We would like to thank each and every parent that pledged to read to their children. 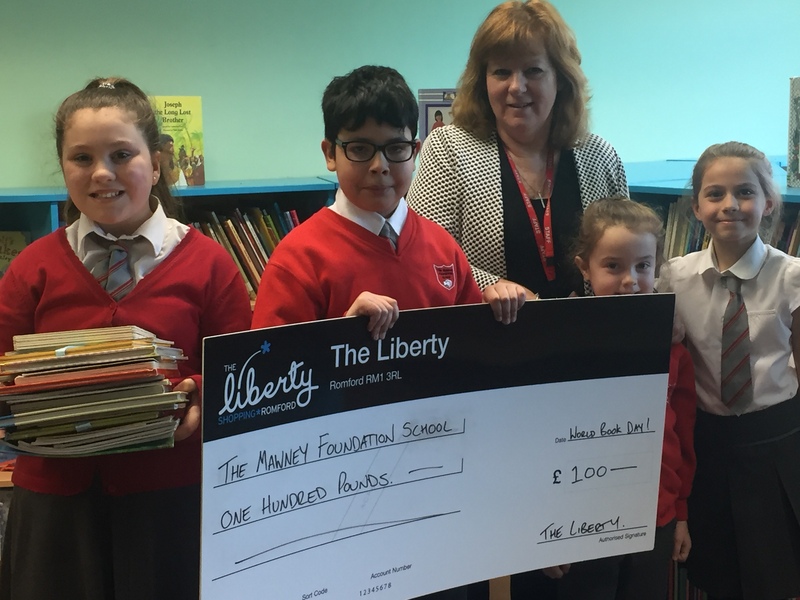 Caroline Jacyna, Assistant Head Teacher at The Mawney Foundation School added: “We are extremely grateful to receive the voucher and book donation from The Liberty.